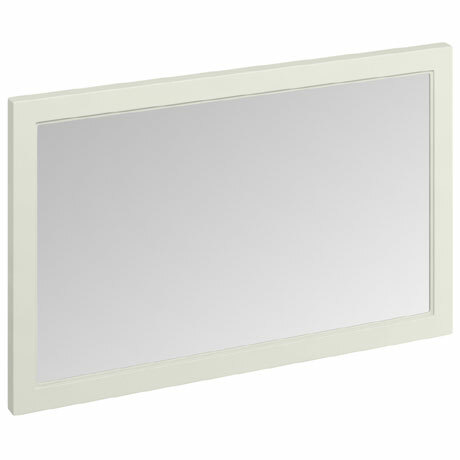 This elegant mirror from Burlington is a great addition to any bathroom with its stylish frame and co-ordinates beautifully with Burlington's furniture range. The mirror is primed with 5 layers of UV stabilised primer to minimise colour fading from sunlight exposure. All Burlington mirrors are sealed to ensure the mirrors do not suffer "Black Edge" oxidisation which can occur in moist environment but this treatment prevents it.